Natural Incense, Handmade from ground-up Herbs, Blessed by Monks. A Non-Profit Humanitarian Project of The Eden’s Rose Foundation. Lama Chodpa Essence of Flower Incense effects new beginnings. Incense Sticks used in blessed ceremonies or inauguration, especially puja or yoga can help bring peace and harmony into one’s life. 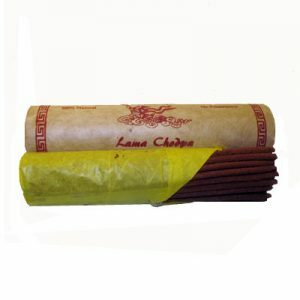 Lama Chodpa Meditation Incense effects the chakra channels. Cleansing, soothing and refreshing the mind and body. 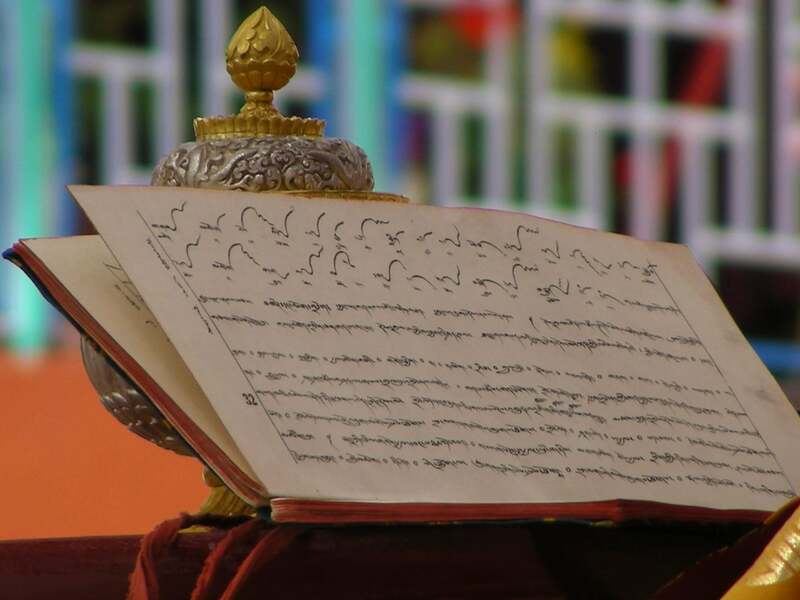 Incense sticks stimulate the meditative consciousness and a spiritual connection. 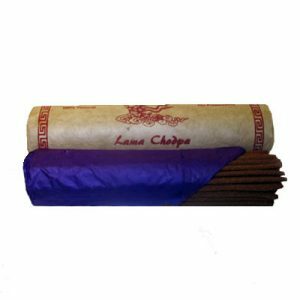 Lama Chodpa Cleansing Incense helps to remove in-auspicious impurities within the inner channels and any environment of sanctuary or ceremony thereby refreshing the mind, body, and spirit. Lama Chodpa Relaxation Incense helps to relieve tension by calming and soothing the mind and body at the same time as refreshing the environment with a peaceful tranquility. Handmade from 31 wild harvested medicinal herbs, dried and then Stoneground with mortar and pestle. Pure Incense Sticks are made using herbs blended with a little water and sun-dried up above the Monastery. Traditionally made without a wood stick or fillers. We use no sawdust, perfume, additives or bonding agents. Ever. Just, ground medicinal herbs. All of our herbs are sacred. However, one particular ingredient is the object of a 10-day blessing ceremony. Being attended by the entire Monastery, over 300 monks in Tashi Jong at the center of our village. It is then placed in the Dharma Protection chamber, blessed by a Togden meditation master once a day for a year before being included in our incense sticks. 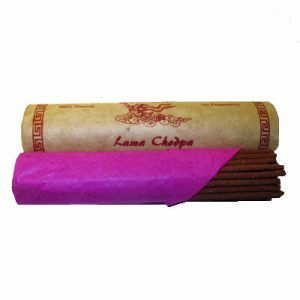 Lama Chodpa Incense sticks are a result of centuries-old Tibetan monastic recipes merged with the traditional Vedic herbs of the Gaadi nomadic Himalayan tribal community. 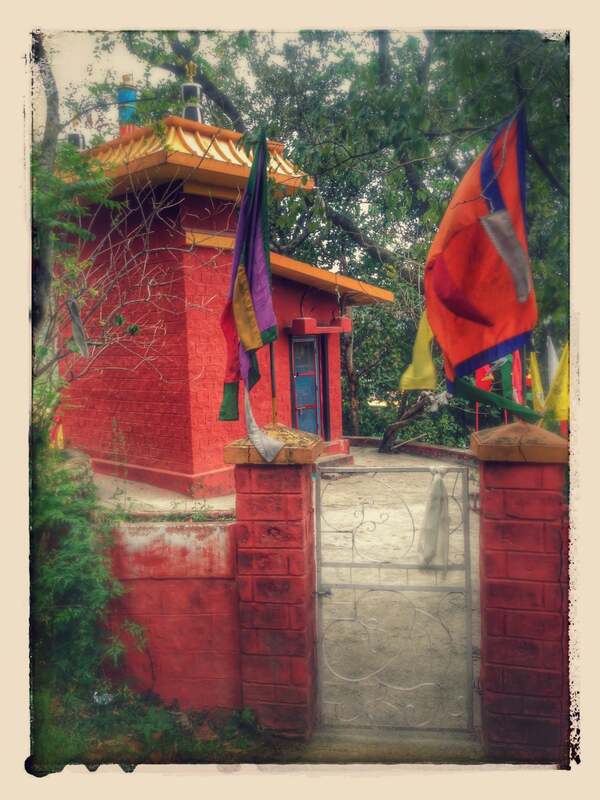 Over 60 years ago the 8th Khamtrul Rinpoche settled His Tibetan refugees in the small Gaadi village of Jhikli Bheth, in the India Himalayan foot-hills. The coalescence of the two group’s traditions, rituals, herbs and, dedication to service, became Lama Chodpa Incense! 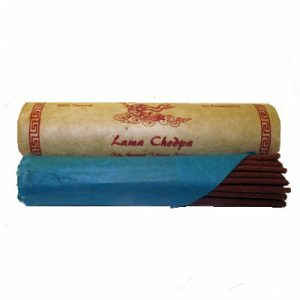 With a tradition of environmental stewardship, Lama Chodpa is a very different Incense. This project was born from a desire to unite two communities, with each other and the world. 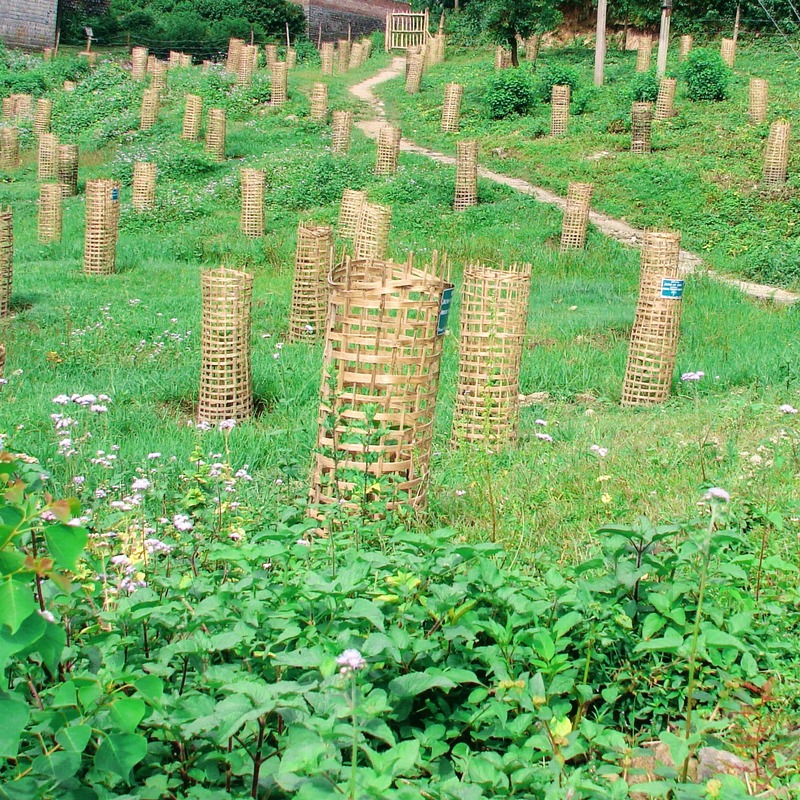 Starting from the ground up by reforesting the village with cultural pertinent endemic trees, we can restore a sustainable living culture for generations to come! 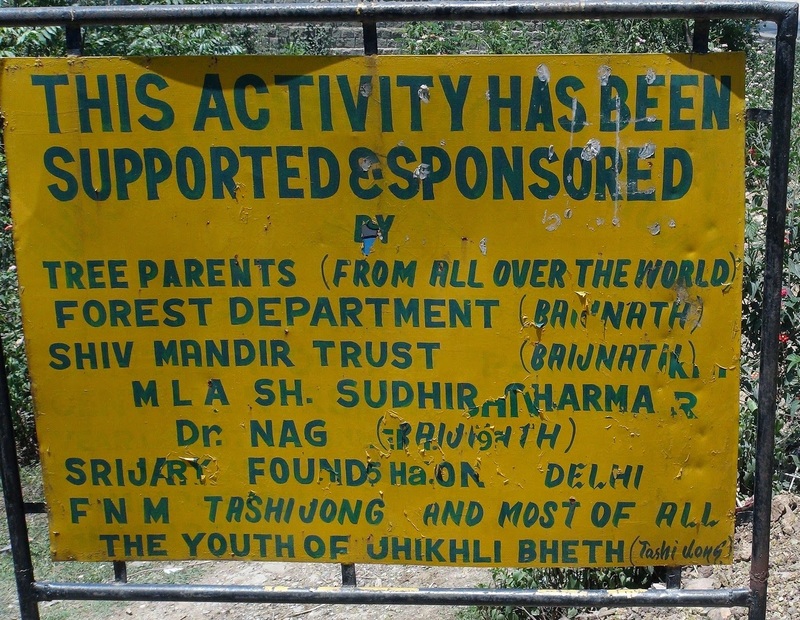 Your contribution goes to support the employment of local villagers from the Gaddi Tribe to fight invasive species and restore the natural Himalayan habitat. Sponsor a worker for a day, a week or adopt a Tree. Become a Tree parent of an endemic species with cultural significance for both Tebitan refugees and Gaddi nomadic Trible communities!